Quit India! 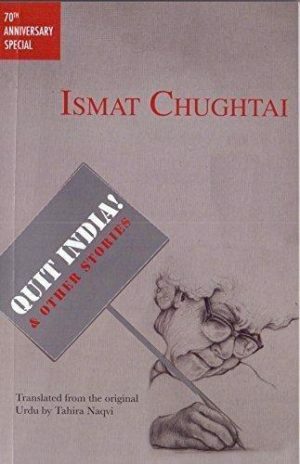 And Other Stories offers a selection of stories from Ismat Chughtai’s formidable body of work, written between 1938-1963, that reflects her insights into the loves and lives, as well as the shared histories and experiences of Hindus and Muslims in India. Witty, yet sharp, affectionate, yet clear-eyed, this is Chughtai at her penetrating best, taking a close look at community dynamics through her personal and social bifocals. Categories: Women Unlimited, Politics, Reference, Social Sciences, Sociology and Anthropology. Tags: Women Unlimited, 9789385606137, Caste and Class in India, Indian political thought, Ismat Chughtai, Urdu literature in translation.